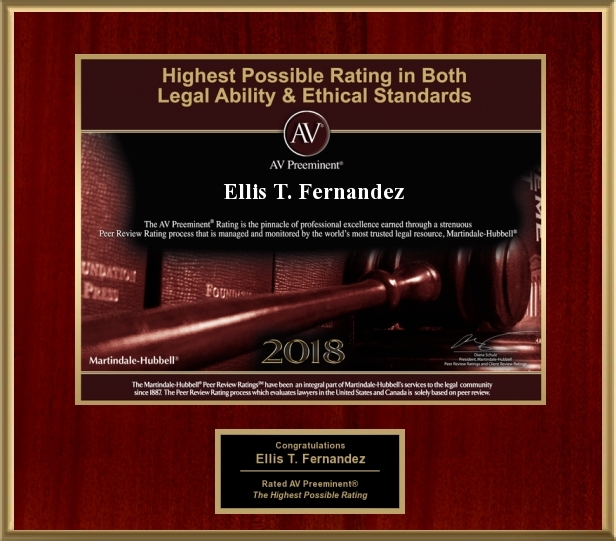 Ellis T. Fernandez, III is board-certified by The Florida Bar as a Board-Certified Civil Trial Lawyer and has been awarded an AV Preeminent rating (highest) by the Martindale-Hubbell Peer Review. ***E.T. 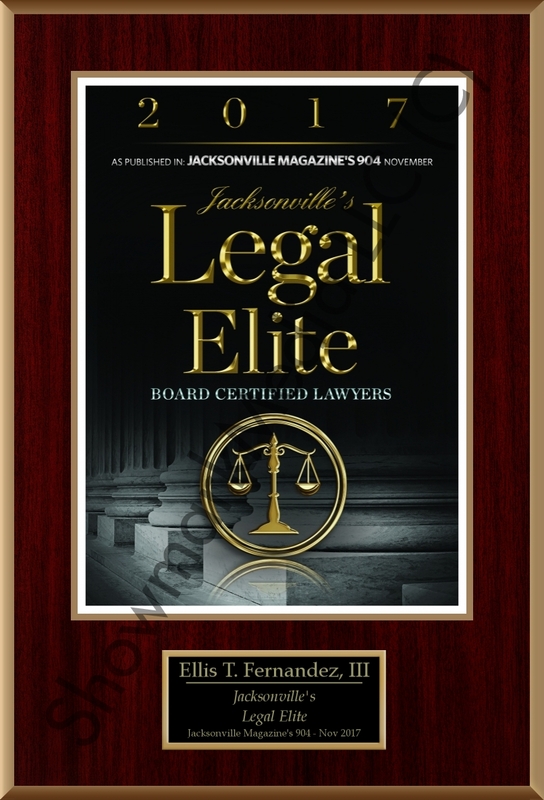 has been named a member of the "Elite Eight" in the United States as a preeminent trial lawyer to address the most difficult, complex and catastrophic of claims facing the defense during these challenging times. 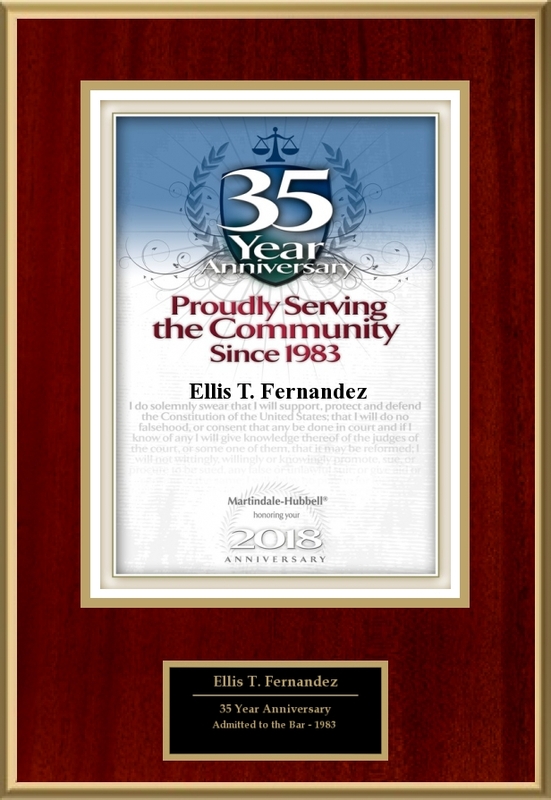 When cases seem to overwhelm current risk strategies or defense counsel, they call him. Out of all trial lawyers reviewed by First Court, only eight... in the entire U.S.... were selected as having all of the necessary skills to be able to handle these claims. ***E.T., by personal invitation of the Pennsylvania Academy of Trial Lawyers, has been asked to address the Academy at their annual Conference at Nemacolin Woodlands Resort in Pennsylvania this October, 2015. After reviewing hundreds and hundreds of trials over the last few years, the Academy has selected but one and asked he provide his insight from his experience as to the "how and why" different juries can reach completely different results over the same set of facts. Few know the importance of presentation and the impact it can have on the potential juror as his experience and proven results can produce. Cumberland School of Law, Samford University, Birmingham, Alabama, 1982, J.D. Troy State University, Troy, Alabama, 1978, B.S.